With Sabre® RailCommerce, you can take advantage of the Sabre® global distribution system (GDS), which connects travel sellers and buyers in the world’s largest travel marketplace. By participating in the Sabre system, you have the ability to connect to more than 350,000 travel agents, create and implement key partnerships, and sell both locally and worldwide. We deliver your product globally and help grow your revenue through an effeicient and cost-effective distribution channel. As your partner, Sabre RailCommerce participation provides flexibility to distribute your product in a way that meets your specific business needs. To compete with airlines and provide travelers with the most options, you need a global reach. The process needs to be easy, and agent training minimal. By providing your rail content in the Sabre system, you accomplish just that. Our integrated air display allows agents to easily book intermodal itineraries, combining rail with air, car and hotels together into one booking. Agents use the same pricing and service screens that they already use each day to sell air itineraries, and the procurment path is the same. The travelers experience is enhanced by combining their entire trip into one easy-to-read itinerary. Often, agents need even more detailed rail content information, including door to door timetables and local public transport information. Provide complete detailed local offerings to Sabre agents through an easy-to-use graphical interface. The Rail Storefront combines all rail content and enables you to tailor the way your product is displayed and sold depending on specific market needs. 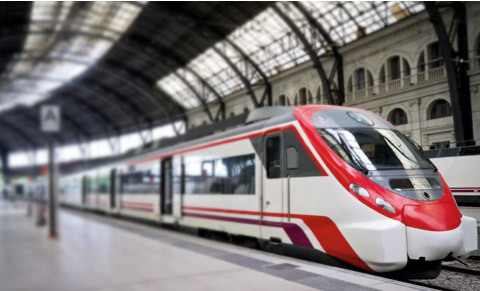 Best of all, the end-to-end distribution process of your rail products is supported through the application — from shopping and buying to issuing paperless tickets and refunds. No matter what participation option you choose, we've got what matters most to you.